Spring is a great time to get involved in your community! As we enter 2019, here is the first of our quarterly newletters! The daffodils are out and the sun is (sometimes) shining. Spring is just around the corner! And if that’s not enough to brighten your day, we have some exciting news to share – we have hired a ReLaunch Programme Coordinator! Our new coordinator, Heather, will be taking the lead on all things ReLaunch and we are delighted to have her on board to help the programme grow. *Please note that the chart begins at the top and moves clockwise through the list on the right-hand side. More and more highly skilled individuals are willing to share their knowledge and time with these organisations. We are, as always, motivated by placed-based volunteering and the impact that skills, sitting within a community, can have in helping to solve the challenges faced by that community. It really makes a difference and helps organisations working on limited budgets to do their work even better. Everyone is part of the solution! We’d love to hear from you if you are interested in getting involved or learning more about us. And, finally, on a small administrative note, we are continuously looking to improve our process and some of our forms have recently been redesigned. This means that our old forms have become out-dated and in some cases they are not showing up. If this happens to you, please get in contact with us and we will make sure you receive the correct link. 4 in 10 Brits volunteer! Over recent months, Team Battersea has been ramping up its operations through Link UP London. 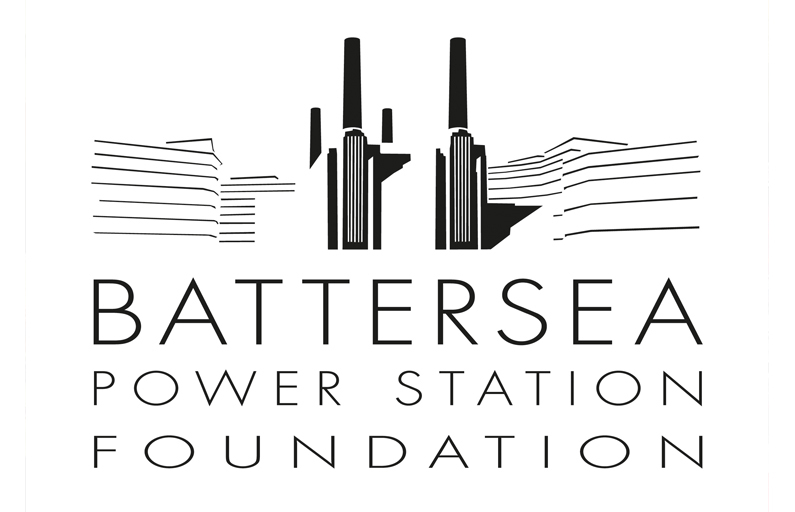 With plans to host a parallel 2020 Olympics in Battersea, this is certainly not an event to ignore. Read more about Team Battersea, their plans for the coming years and the support they have been receiving from Link UP London. Charity Summary: Working to reduce the number of young people affected by youth on youth violence through awareness campaigns and peer to peer support. Charity Summary: Not-for-profit committed to ensuring that vulnerable people are not left behind in the criminal justice system. Project: Service mapping in the local community and produce a strategy covering how best to market to these groups. Charity Summary: Working with young mothers who are facing challenges with parenting, reducing isolation in parenthood, helping mothers to manage their homes, and offering back to work courses. Project: The organisation is in need of a fresh social media strategy that can capitalise on the mainstream media coverage currently being obtained. Elizabeth began volunteering through Link UP London in order to put her background in social media to use in her local community. Her story helps to show the strong relationships that can be built through Link UP’s skilled volunteering opportunities. "The springboard and beginning of a journey for me!" "Realising that I did still have my 'mojo' despite that it having been lost in my day to day life!" Link UP London's Relaunch Programme helps professional women who have had a career break build confidence, define their goals, and take considered next steps. I attended the ReLaunch Programme in early Summer 2018 following a long career break to raise my three children. A few years ago, I set up a consultancy practice specialised in strategy and business support for the luxury retail, spa, and wellness sectors. As much as I loved being financially independent and working from home, I was finding it hard to balance my professional and personal life. It was exhausting and relentless so I made the decision to take a pause. The priority was definitely the family but also to find the right path for me while I continued to support my local community. I was inspired to create candles during the Create workshop at Battersea Art Centre. Soon after, and with no real expectations as to how it would be, I enrolled onto the ReLaunch Programme. I felt I needed more clarity around what to do next with the candle project and the consultancy business. The Relaunch workshop forced me to take time off from the day-to-day routine to think deeply about what I wanted for my life. The coaches were welcoming and inspiring. Their approach was very helpful for me to identify my personal strengths and goals. In just 4 sessions, I muted the little voice saying "I am not good enough". I am still amazed how through a positive and supportive environment, anything is possible. I was empowered to launch my own brand, Love Light Life Candles just in time for Christmas! 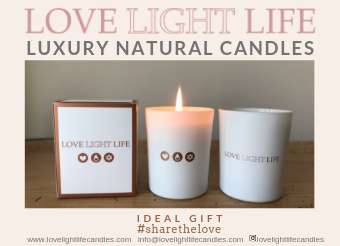 These 100% natural candles are made with relaxing and soothing essential oils, in a beautiful white glass and feature the inspirational message of Love Light Life. The feedback so far has been positive and it is off to a very promising start. The ReLaunch team has offered continuous support with regular coffee mornings, inspirational events, a CV workshop, newsletters about skilled volunteering opportunities and a mentoring programme. My mentor Emily is an expert in social media and I was a total beginner. My Instagram account lovelightlifecandles looks professional from the start and we are now working together on the website. I hope this story will inspire you to sign up for the next ReLaunch workshop, the mentoring programme, or starting your own business adventure. I am really grateful to the ReLaunch team and I am happy to be part of this warm, like-minded community of women. Sign up now for our next session! Join us at our next coffee morning or evening drinks! The Link UP team loves getting to know the wonderful people in our community who give back or have a plan to use their skills for good! If you are considering volunteering or need some skilled volunteer support for your charity, join us for a coffee or drink and some networking. Come along with some friends to hear more about Link UP London's work and how you can get involved. Link UP London is dedicated to connecting skilled volunteers with local charitable organisations on fixed-term, structured projects aimed at making a difference in the community. If you have professional skills that you would like to share with your local community, our flexible, time-bound projects are for you!